Religion and politics are going head to head after prominent charismatic prophet Shepherd Bushiri’s church has threatened the South African National Civic Organisation with legal action. The move by the Enlightened Christian Gathering (ECG) comes after the criticism by the South African National Civic Organisation (Sanco) Tshwane branch of the manner in which the situation was handled after three people died in a church stampede. Shepherd Bushiri has taken steps to interdict Sanco after its members protested outside his church. In an email to the Sanco leadership, including the organisation’s chairperson Abraham Mashishi, attorneys representing the church spelt out ECG’s intention to apply for an interdict against Sanco. In terms of the email from Baloyi Ntsako Attorneys, Sanco was asked to give a written undertaking within 48 hours to “refrain from inciting its members or any community member privately or publicly to block the access gates to the church and/or to prevent church congregants from attending church services”. Should Sanco fail to give the undertaking, lawyers have been instructed to bring an urgent application for an interdict in the high court to prevent protesters from blockading the church. They will also seek an order against Sanco chair Mashishi in his personal capacity, and a cost order jointly against Sanco on account of any planned unlawful conduct. A separate letter from Ogboro Attorneys, representing the Nigerian Union SA, was sent to Mashishi demanding that he retracts, and apologises for, his statements to the media on or around 4 January 2019 about the church’s activities. “We take exception on behalf of our clients that you regard churches not established or led by South African citizens, particularly those you hold to be led by Nigerians, that they are bogus. We submit and put it to you that the law does not recognise such a blatant xenophobic thought practice and attack on freedom of religion, but that it frowns upon conduct with sinister designs of promoting religious persecution,” read the letter. “You have persistently in the interview referred to prophet Bushiri as Nigerian and that he hails from Nigeria. It is our client’s instructions to put it to you that you are a liar or ignorant or both. In actual fact, Bushiri is not Nigerian, but Malawian. The interview with Mashishi aired on the SABC. Three Sanco members who participated in the protests outside the church appeared in the Pretoria Magistrate’s Court on Tuesday on charges of public violence. The three were each released on R500 bail. Sanco members staged protests outside the church last Thursday and Friday (January 3 and 4 2019) and blockaded the entrance with burning tyres. In the aftermath of the stampede, the South African Police Service opened a case of defeating the ends of justice against the Bushiri’s church. The charge stems from the ECG’s decision to remove the bodies of the deceased before to arrival of the police. All three people who died in the stampede were women, identified as 69-year-old Sarah Matshila Mohlala, 60-year-old Maria Lehlogahlo Segodi and 59-year-old Patricia Pringane. The incident was allegedly neither reported to the police nor the families of the victims. Ogboro Attorneys said they were demanding two things: Mashishi should apologise and retract his comments made on SABC TV. “We just want him to retract the comments and make an apology on the same media platform on which he made those remarks. We have given him 10 days to do so, and if he doesn’t, we are on instruction and will be forced to test the whole thing in a quality court,” attorney Omoregie Ogboro said. “You can’t go on air not knowing what to talk about. He is inciting xenophobia. 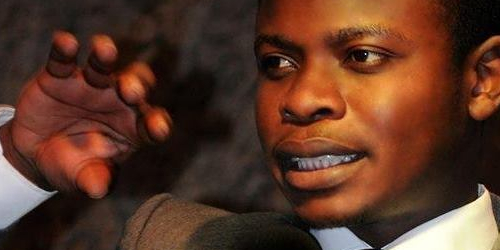 The next thing we know all Nigerian churches will be attacked, and Bushiri is not even Nigerian,” he said. Commenting on the legal threat, Sanco spokesperson Jabu Mahlangu said the gist of the matter on which their actions are based concern the church’s failure to adhere to the Constitution of the country, based on the actions the church took after the deaths of the three.